To be loved by your grandma, what a special gift indeed. My grandma, Juney, always sent birthday cards and holiday cards when I was a child. She never missed a birthday and she was always punctual with her mail — never did a birthday card arrive a day after my birthday. She adored her grandchildren. She was the only grandparent I ever knew. And she was enough — she was a gift. 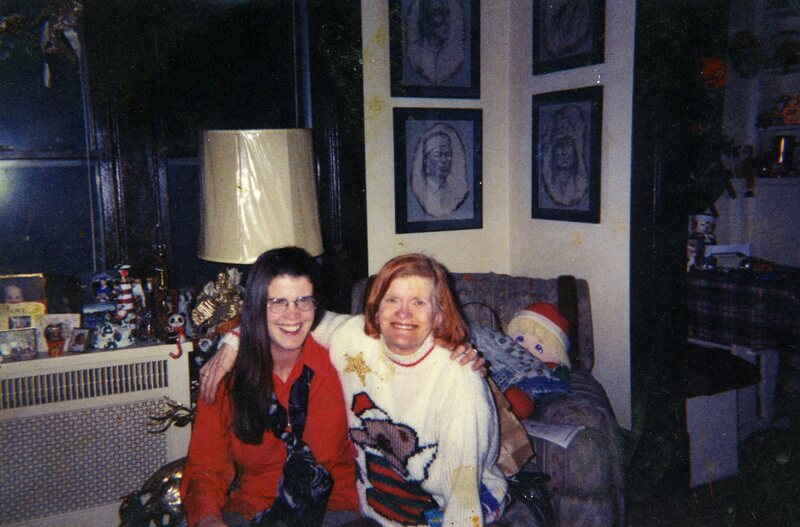 A supersize grandma who made up for the other three who had passed away before both my sister and I were born. My grandma was lovely and modest. I had no idea, of course as I was just a child, of her accomplishments. To think she was involved in food photography and advertising when it was just being introduced. She was the executive chef who prepared the cooked foods when Birdseye first introduced frozen vegetables. Juney moved to New York when she was 28. She loved New York. My grandma had panache. I remember thinking how elegant she looked even in her pajamas when she would spend the night at our house in Wheaton. She would take the train from Evanston. Mary Liz’s son, Lewis would drive her to the station at Davis Street in Evanston. Lewis is Mary Liz’s son. Mary Liz is Juney’s niece and my mom’s cousin, and also Aunt Harriet’s daughter. Lewis told me that Juney was always so excited to come and visit us. My grandma always looked so put together, even in her PJs — one pair I remember vividly was leopard print silk matching bottom and top. 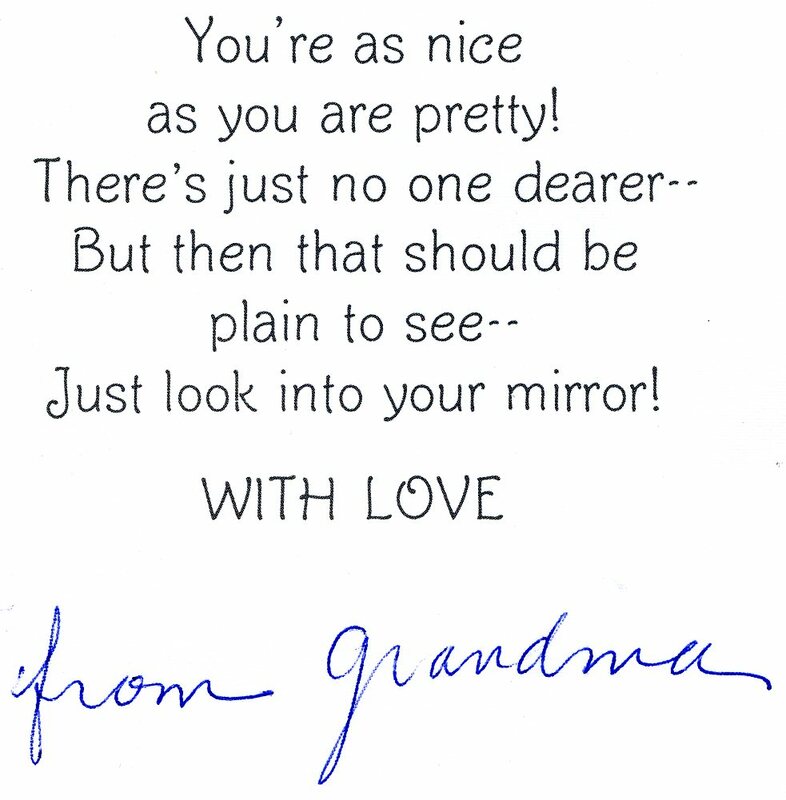 The inside of the Valentine’s Day card Grandma sent me as a child. I am grateful my mom kept these things for me. This is a Valentine’s Day card she sent. How important it is to me now, more valuable than anything. And of course, it arrived promptly on or before Valentine’s Day. And she always tucked in dollar bills. And this is important as she was on a fixed income. She had a generous heart. My advice for anyone who is lucky to still have both their parents, or one of their parents alive, and/or their grandparents, is to write down and record all the stories they tell. Once they are gone, you realize how truly important these stories are. They are history. Part of the inspiration for this book and what is providing me the passion to write it is that I regret not writing down my mother’s stories. I did write down a few and of course I have a lot of memories, but I am missing her so much. I just wish I could talk to her. My mom did meet my son, Benjamin. He was six months old. I will always have that. But it is special to have a grandma and/or grandpa you can grow up with. It must be even more special to know your grandparents when you become a young adult and an adult. Here’s to Juney. Here’s to grandparents and here’s to grandmas. Categories: Uncategorized | Tags: birthday cards, cards, cards from Grandma, cards from grandparents, grandma, grandma love, Grandparents, keepsakes, Love, missing my grandma, mother love, mothers, Valentine's Day | Permalink.